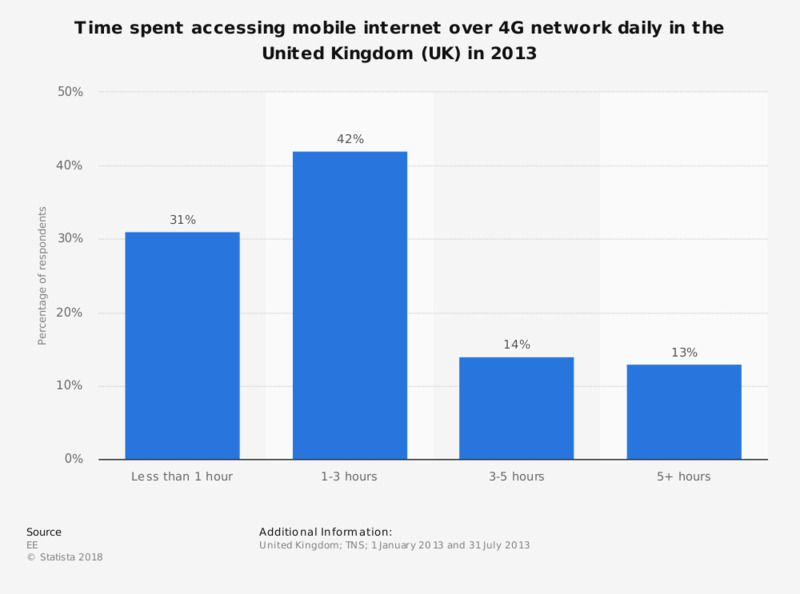 This statistic shows the time 4G users spent on internet over 4G networks in the United Kingdom (UK) in 2013. In July 2013, 42 percent of 4G users spent from 1 to 3 hours online using their 4G network. The 4GEE Mobile Living Index was brought together using insight from the EE network team and an independent TNS survey of 1,000 4G users. Information within was gathered between 1 January 2013 and 31 July 2013. TNS conducted the survey of 4GEE customers in May, using telephone research. In which of these places do you use your mobile phone to access the internet outside of the home?